Datamark Systems 1-866-760-2661 Forms, Cheques - Print and Cheques Now Inc. Huge Savings on Business Cheques and Personal Cheques and other printing needs. Before Datamark closed its doors we were able to purchase 34 skids worth on Inventory from them. We also have some artwork files we were able to get a hold of. Our company is able to produce almost any product that you used to buy from Datamark Systems in the past. and then give me a call. I can see if we have the artwork for it on file. Even if we dont we can recreate anything they had done for you in the past. And most any other printed products that they sold. 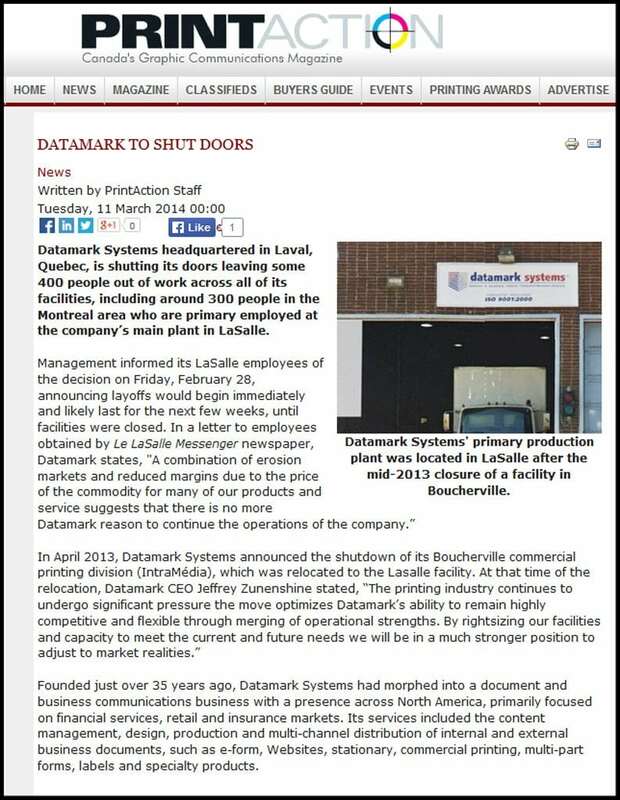 As of March 1st, 2014 they Closed their Doors across Canada. Shutting down all their plants and ceasing production. Print & Cheques Now Inc in Calgary has over 30 years in the printing industry and can assist you in this printing all of your printing needs from Business Cards & Cheques to Multi-Part Forms and Long Run print jobs. We are ready and able to help fill all of the orders you have placed in the past and will try and make this as smooth of a transition as possible. A little about us: Print and Cheques Now Inc is a Calgary based family business located in the foothills industrial area. We ship across the country to a wide range of clients, From small Ma & Pop companies to Major Oil & Gas & Manufacturing companies. We are assisting businesses across the country and doing our best to deliver all products as quickly as possible.